Take some time out to re-energise, with the ultimate guilt free holiday. Enjoy 6 days of exercise and relaxation, time to disconnect and reconnect. Our fitness and yoga retreat at Mas De La Serra takes full advantage of the stunning surroundings, with outdoor exercise, trail running, hiking and yoga overlooking the beautiful mountains. Allow the natural environment to carry you through your workouts, offering moments of contemplation for you to switch off. Mas De La Serra is one of the most remote hotels in Spain, listed in the ‘Top 20 Mountain retreats in Europe’ by The Times and in Conde Naste's Gold List. 'The Masia' lies between Barcelona and Valencia, amidst almond and olive groves, fields of wild flowers and natural waterfalls. 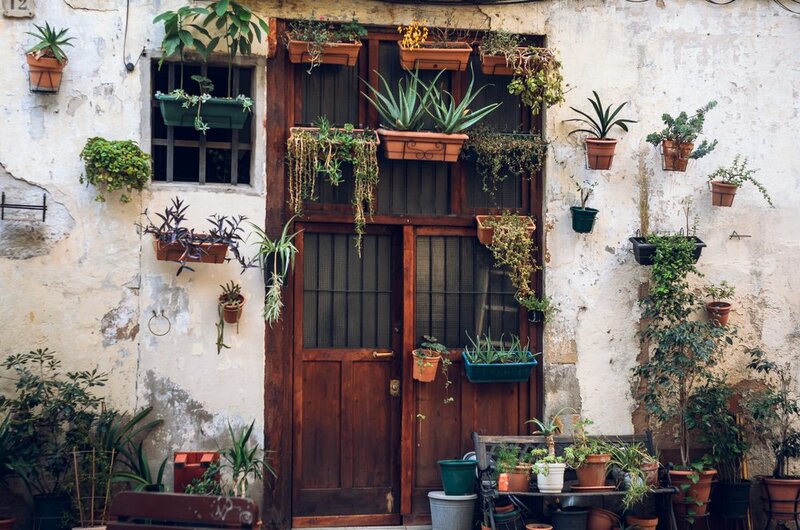 The location, known as 'Spanish Tuscany' is a popular holiday desitination for the Spanish, where beautiful wildlife and traditional village life can be enjoyed. The hotel itself is a stylishly refurbished farmhouse set in 60 acres of grounds that include an infinity pool, hot tub and terraces overlooking the valley. Whilst there is a full itinerary there is also plenty of time for you to relax and enjoy all that the Masia and it's surroundings have to offer. Workouts will all take place on the terraces and grounds of the Mas De La Serra, overlooking the orchards and olive groves. We are surrounded by beautiful trails that snake their way through the hills to the natural springs, which we will make the most of in the afternoons with guided trail running and hiking. All exercise sessions are scaled to your individual ability and we welcome all levels of fitness. You will receive a 1:1 consultation on your arrival day where we can discuss your goals, what you hope to get from the retreat. A personalised workout plan and nutritional recommendations will help you to take this forward into your daily life when you get home. Our morning yoga practice will be an energising Vinyasa Flow session, designed to get your muscles warm and your body flowing. The evening session will slow you down, with a gentle flow and yin session to connect you back to your breath. All sessions will take place on the terrace overlooking the almond and olive groves, making the most of the beautiful view as your mind settles and your body unwinds. If the weather dictates, yoga will move to the top floor of the Masia where we can practice in the warmth with panoramic views across the mountains. As a personal trainer as well as a yoga teacher, Nathalie has a real understanding of what your body needs from your yoga practice in order to balance out the workouts. All poses can be modified as required to encourage your body to relax and release safely. Sample Daily Itinerary - you don't have to do everything! 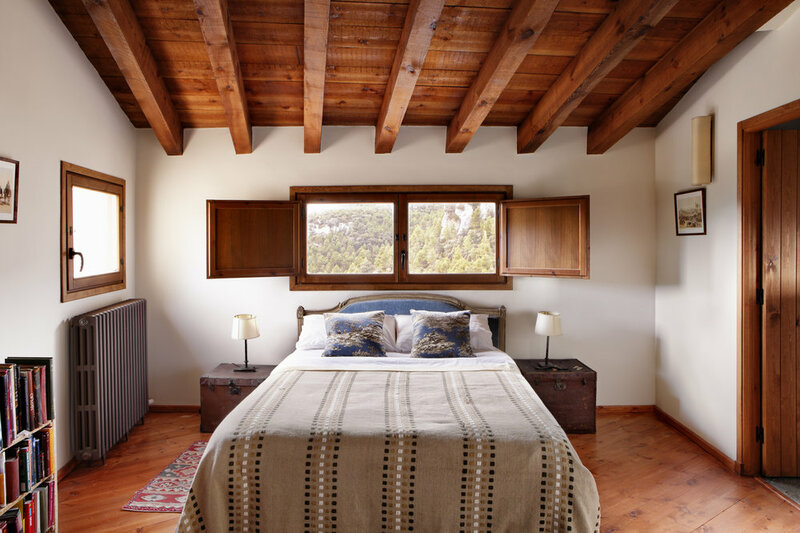 Mas De La Serra has been lovingly converted to maintain the traditional feel of a Spanish country farm house, with all the home comforts and fine details of a boutique hotel. It boasts eight elegantly furnished bedrooms, two sitting rooms, one with an open fire, two dining rooms and a home cinema room. The outdoor hot tub and solar-heated pool are great for relaxing and enjoying the view, and the steam room will ease those aching muscles. Set in 60 acres of grounds with trails through the pine forests and almond groves to natural water pools, there is plenty to see, do and explore. We believe that the best diet is one full of fresh, natural food with a healthy balance of protein, fat and carbohydrate. On our fitness and yoga retreat you will enjoy a nutritious breakfast to set you up for the day, a delicious lunch to re-energise you with out making you sluggish and a re-fueling dinner. Please let us know of any dietary requirements. 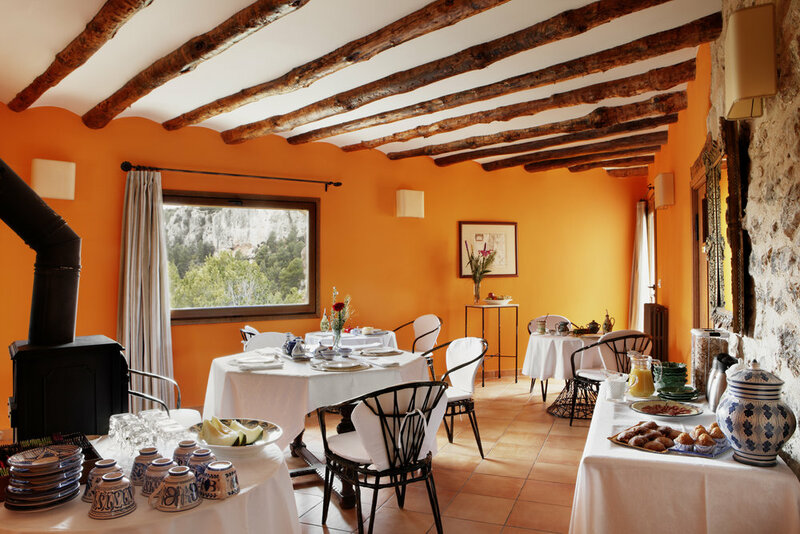 For those of you wanting to enjoy the indulgence of the holiday as well as the fitness, Mas De La Serra has a well-stocked wine cellar and operates an honesty system bar. Mas de la Serra lies between Barcelona, Valencia and Madrid. Included in the cost are airport transfers to and from Barcelona airport, which is 2hrs 30mins away. There will be one pick up on the arrival day at 1.30pm and one drop off on the departure day at 1.30pm. However we are happy to help you arrange your own transport if you wish to arrive at alternative times or if you would like your own car whilst here.